Italian law generally recognizes dual citizenship. This means that you can have citizenship in Italy and in another country at the same time. Recognition of Italian citizenship requires you to prove that your ascendants uninterruptedly maintained their Italian citizenship. Determination of your rights to Italian citizenship are determined by the Italian consulate with jurisdiction over your place of residence if you currently reside outside of Italy. The law also allows Italian citizens to obtain a second citizenship without giving up their Italian citizenship. You can acquire Italian citizenship through ancestry. if you were born before 1948, you can obtain Italian citizenship only through your paternal direct ascendants. Those born after Jan. 1, 1948, can obtain Italian citizenship through either paternal or maternal ascendants. Since Italian citizenship is passed to descendants and there is no limit to the number of generations you are allowed to go back, as a descendant of an Italian citizen, you are generally eligible for Italian citizenship as long as you or one of the ascendants in the direct Italian line did not formally renounce Italian citizenship. Italian citizenship laws, however, are complicated, and the consulate will look at the specific laws in effect at the time of your birth, your ascendant's birth, and a variety of other factors to make the final determination about Italian citizenship eligibility. Foreign spouses of Italian citizens are eligible to apply for Italian citizenship after two years of marriage if living in Italy and after three years if living abroad. These time periods are cut in half if the spouses have children. To apply for citizenship through marriage, you need to register the marriage at the town hall in Italy. If you are a spouse of an Italian citizen and you live abroad, you also need to register with the Italian consulate before applying for citizenship. The documentation required when you apply for Italian citizenship varies, depending upon your specific circumstances, and you need to check with the Italian consulate in your area prior to submitting your application. Generally, however, you will need a copy of your passport, an original birth certificate, a complete criminal record check, your marriage license (if applicable) and documentation proving either your marriage to an Italian citizen or your direct Italian blood line. You need to submit original, certified documentation, and Italian translation is required for all documents. JimJones. "Dual Citizenship Rules in Italy." 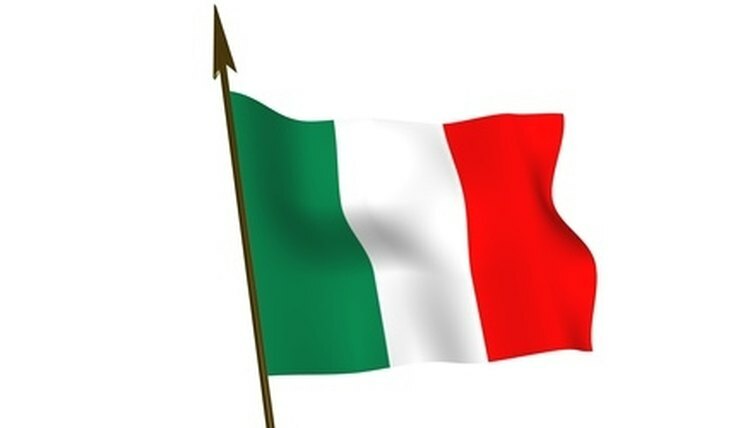 , https://legalbeagle.com/6524460-dual-citizenship-rules-italy.html. Accessed 21 April 2019.